(4) And there are diversities of gifts, but the same Spirit. (11) But all these worketh that one and selfsame Spirit, dividing to every man severally as he will. Brethren in Christ, this context elaborates on spiritual gifts as given by the Father through the Holy Spirit for administration of all churches. Case in point, when the Holy Spirit comes upon us, he comes to commission us with gifts from the Father to do his will through us in the churches: but we might asked yourselves, "What is the will of the Father?" The will of the Father, is to empower us in various aspects of the churches for his administration, and to save other souls to eternity. 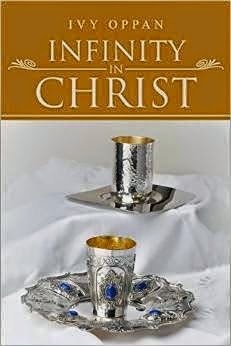 Brethren, when we receive the Holy Spirit, we are to pray to the Father through the Son (Jesus) to find out what our assignments are in the churches, and to perform those assignments: Christians are useful branches of the body of Christ, through the anointing of the Holy Spirit: if we fail to use our God given talents in the churches, we grieve the Holy Spirit of GOD, and the work of GOD cannot be made manifested in the churches; therefore, let us ponder on the above context to see what Apostle Paul, is saying to us today; and do the Fathers will by allowing the Holy Spirit to use us for his glory. Brethren in Christ, Have we received the Holy Spirit yet? If we have not yet received the Holy Spirit, let's pray to God through Jesus, the giver of all gifts; he will anoint, empower, and commission us to function in the churches; for without him we can do nothing: but if we have the Holy Spirit already; are we grieving the Spirit of GOD? If we are, let us not grieve the Holy Spirit, but find out what our assignments are in our churches; and be useful in those areas for his glorification. There is blessing in doing the will of the Father, in Jesus Name. Amen and Amen! Brethren in Christ, I called this context; "empowerment", Jesus, empowers us to believe on him so we could do miracles in his name. Case in point, Jesus, said greater works shall we do, if we believe on him: for example, Peter, Christ Apostle believed on him; and he performed miracles: just passing by the sick on the streets they were made whole by his shadow (Acts 5:15). Paul the Apostle, believed on him, so that out of his body handkerchiefs were brought and diseases and evil spirits were cast out; (Acts 19:12). As believers in Christ, we can perform miracles also; if only we believe in him. (ST MARK 9:23) Jesus said unto him, If thou canst believe, all things are possible to him that believeth. Brethren in the Christ, are you a believer in Jesus? If you are, all things are possible for those who believe: let us pray and ask our heart desires in his name; he will do it, that the Father may be glorified in him. Believe in his Name! Amen and Amen! Brethren in Christ, Paul Apostle, advises followers of Christ, to walk in the attributes of Godliness; by living as those made alive in Christ: the context is pretty clear on the Holy Spirit instructions for Christian households. Case in point, as wives, we are to submit to our spouses; what do this means? the woman was created from the ribs of a man, while a man was created out of dust of the earth: in this aspect, the woman is believed to be part of the man; therefore, she ought to submit to him: unless where God forbids, while he (the man) submits to God the Father who created him out of the ground. Husbands, are to love their wives without bitterness, in words or spirit: *Children, are to obey their parents in all things lawful to Christ; and in the will of the parent is the law of the child in Christ for his sake: *Fathers, are not to provoke their children to anger; which might turn them into stupid or desperate children: *Servants are to obey their masters; with the single intention of doing the right without looking any further; and acting from a principle dictated by God: whatever we do, lets do it cheerfully and diligently to the Lord and not to men: for with the Lord we shall receive the reward of inheritance in Jesus. Whosoever doeth wrong shall be rewarded for his wrong doing; for there is no respecter of persons. (Deuteronomy 13-14) And it shall come to pass, if ye shall hearken diligently unto my commandments which I command you this day, to love the LORD your God, and to serve him with all your heart and with all your soul. (14) That I will give you the rain of your land in his due season, the first rain and the latter rain, that thou mayest gather in thy corn, and thy wine, and thine oil. Brethren in Christ, are we submitting to your husbands? are we loving our wives as Christ also love us? are we obeying our parents in all things? are we provoking our children? As servants at work, are we obeying our superiors? Let us do all things cheerfully to the Lord and not unto men; for Jesus is a re warder of those that diligently serve him. Amen and Amen! Brethren in Christ, the context is pretty clear, the Lord will chastise his children when disobedient to his word; but his love will still abound in their lives: he will not allow others to hurt them despite their shortcomings; he will fight all enemy forces that rise up against his children, and will restore back their lives to himself because he loves them all. Case in point, when our children misbehaves themselves; as parents, we do get angry and perhaps chastise them to correct their behaviors; but if anyone abuses our children unjustly; we will defend them, fight all their battles and prevail on their behalf: because we love them more than anything else: If we do, so do our Father in heaven; therefore, when we are being chastise by the Father, we might feel his hand too hard on us and think our lives are over and done with; but it is not over yet: the Father is still with us through the pains and agonies of his chastisement: however, let us search your hearts and be still before him: let us ask him where we went wrong, and make it right with him by asking for his forgiveness and restoration. (Hebrew 12:5-6) And ye have forgotten the exhortation which speaketh unto you as unto children, MY SON, DESPISE NOT THOU THE CHASTENING OF THE LORD, NOR FAINT WHEN THOU ART REBUKED OF HIM: (6) FOR WHOM THE LORD LOVETH HE CHASTENETH, AND SCOURGETH EVERY SON WHOM HE RECEIVETH. Brethren in Christ, are you being chastise today? Is the chastisement from the Lord? If so, get on your knees; pray to the Father for his forgiveness and restoration through our Lord and Savior Jesus Christ: he will intervene on your behalf; because he loves you and it shall be well with you forevermore. Amen and Amen! (10) For we are his workmanship, created in Christ Jesus, unto good works, which God hath before ordained that we should walk in them. Brethren in Christ, in this context Apostle Paul, speaks to us about salvation in Christ Jesus: believers are saved by grace through our faith in Christ Jesus; it is not our own doings, but it is the gift of God. We are his creation fashioned in Christ Jesus, for the duties which God hath invested in us to accomplish. Case in point, we design career paths for our children because of statuses: we want them to be doctors, lawyers, teachers engineers etc., that is alright; but do we take the initiative to find out what their interests are before doing so? If we don't: when we send them on wrong career paths, things could go wrong academically; when they do, they will be frustrated, and we will be disappointed for their failures in life. The scripture, below reveals the mind of God in this aspect: every soul has a God given assignment to be fulfilled on earth; whether in the field of medicine, engineering, politics, or ministry; therefore, let us find out from our children what their interests are in life before sending them on a wrong field of study. (Jeremiah 1:5) Before I formed thee in the belly I knew thee; and before thou cam est forth out of the womb I sanctified thee, and I ordained thee a prophet unto the nations. Brethren in Christ, we are the workmanship of God through Christ Jesus: let us allow his will to be done through us; regardless of what assignments given to us from the father. He will shine his light through us in any assigned position forevermore! Amen and Amen! (1) Praise ye the LORD. Praise God in his sanctuary: praise him in the firmament of his power. (2) Praise him for his mighty acts: praise him according to his excellent greatness. (3) Praise him with the sound of the trumpet: praise him with the psaltery and harp. (4) Praise him with the timbrel and dance: praise him with stringed instruments and organs. (5) Praise him upon the loud cymbals: praise him upon the high sounding cymbals. (6) Let every thing that hath breath praise the LORD. Praise ye the LORD. Brethren in the Christ, it is good to praise the living GOD: for his goodness and mercies are renewed everyday; let us thank him, and praise his Holy Name: Jesus, will bless and uplift our souls with his Blood forevermore! Amen and Amen! (21) For where your treasure is there will your heart be also. Brethren in the Lord, in this context; Jesus, encourages us to be mindful of what is important in this life regarding wealth: Christians, are to seek after his righteousness; and give to the poor, and we shall inherit wealth abundance in heaven. In Jesus Name! Amen and Amen! (LUKE 18:22) Now when Jesus heard these things, he said unto him. Yet lack est thou one thing: sell all that thou hast, and distribute unto the poor, and thou shalt have treasure in heaven: and come, follow me. (1) I am the true vine, and my Father is the husbandman. (2) Every branch in me that beareth not fruit he taketh away: and every branch that beareth fruit, he purgeth it, that it may bring forth more fruit. (3) Now ye are clean through the word which I have spoken unto you. (6) If a man abide not in me, he is cast forth as a branch, and is withered; and men gather them, and cast them into the fire, and they are burned. Brethren in the Lord, we are branches of our Lord and Savior Jesus Christ: let us abide in him, and bear much fruit of the Spirit**: by reading his word daily; for without him, we can do nothing. (14) Turn, O backsliding children, saith the LORD; for I am married unto you: and I will take you one of a city, and two of a family, and I will bring you to Zion: (15) And I will give you pastors according to mine heart, which shall feed you with knowledge and understanding. Brethren in the Lord; have we backslid ed as children of the Most High God? If we have, the scripture says, to make a turn back to the LORD: therefore, let us search our hearts to see if we have backslid ed; and make a turn unto our Lord and Savior Jesus Christ for restoration. He will surely restore our lives unto his righteousness forever and ever. Amen and Amen! (1) LORD, who shall abide in thy tabernacle? who shall dwell in thy holy hill? (2) He that walketh uprightly, and worketh righteousness, and speaketh the truth in his heart. (3) He that backbiteth not with his tongue, nor doeth evil to his neighbour, nor taketh up a reproach against his neighbour. (4) In whose eyes a vile person is contemned; but he honoureth them that fear the LORD. He that sweareth to his own hurt, and changeth not. (5) He that putteth not out his money to usury, nor taketh reward against the innocent. He that doeth these things shall never be moved. Brethren in Christ, let us ponder over the above psalm, it is our guide to righteousness in Christ Jesus. He is able to help us do that which is right always, if we trust in him. Amen and Amen! (12) Thou shalt seek them, and shalt not find them, even them that contended with thee: they that war against thee shall be as nothing, and as a thing of nought. (13) For I the LORD thy God will hold thy right hand, saying unto thee, Fear not, I will help thee. Brethren in the Lord; Christ is able to strengthen us through the storms of life: he will confound our enemies; and they shall be put to shame in the Name of Jesus. Trust in the Lord always! Amen and Amen! (1) Brethren, if a man be overtaken in a fault, ye which are spiritual, restore such an one in the spirit of meekness; considering thyself, lest thou also be tempted. (2) Bear ye one another's burdens, and so fulfill the law of Christ. Brethren in the Lord, in this context; Christians are to uplift one another when in trouble with patience, and without resentment: placing ourselves in their various positions of judgement: in case we also fall into sin; for no man is righteous no not one. We are to love one another, to fulfill the law of Christ. Case in point; (a) if our friend's spouse commits adultery and confines in us about the issue, do we seek to reconcile the family through prayers and advise to forgive?, or do we preach divorce. (b) when a co-worker makes an error at work; do we offer to help resolve the issue?, or do we advise the boss to fire him. If we practice any of these evil attributes, the context above is for us; we need to bear and restore one another when at fault, with meekness and in love. (Romans 15:1) We then that are strong ought to bear the infirmities of the week: and not to please ourselves. Brethren in the Lord, Let us not quickly judge one another, but uplift ourselves with the spirit of our Lord Jesus Christ; we need to restore one another with love and in righteousness. Jesus, will love us more for our good deeds toward one another. In his name we shall overcome all faults! (1) How long wilt thou forget me, O LORD? for ever? how long wilt thou hide thy face from me? 2) How long shall I take counsel in my soul, having sorrow in my heart daily? how long shall mine enemy be exalted over me? (3) Consider and hear me, O LORD my God: lighten mine eyes, lest I sleep the sleep of death; (4) Lest mine enemy say, I have prevailed against him; and those that trouble me rejoice when I am moved. (5) But I have trusted in they mercy; my heart shall rejoice in thy salvation. (6) I will sing unto the LORD, because he hath dealt bountifully with me. Brethren in Christ, King David poured out his heart to the LORD through the above psalm; he sought the LORD diligently, to deliver him from his persecutors, because he trusted in him. Believers in Christ, when in trails and tribulations; seek the LORD's face for breakthrough and deliverance from all situations. Brethren, if you are in any trails or tribulations today; (a) pray to GOD through the name of our Lord and Savior Jesus Christ; (b) read his Word daily; (c) speak out his promises in the scriptures; (d) plead your case with psalms of mercy and deliverance; (e) meditate on his word in your heart always; (d) thank and glorify him with songs of praises, for answering your prayers: the LORD will hear your anguish and will break the yoke of your neck; he will deliver you speedily, and disgrace your enemies. (Joel 2:32) And it shall come to pass, that whosoever shall call on the name of the LORD shall be delivered: for in mount Zion and in Jerusalem shall be deliverance, as the LORD hath said, and in the remnant who the LORD shall call. Brethren in Christ, Let us bring our difficulties to the alter of the Most High GOD, through the blood of Jesus! He will surely answer and deliver us from all tribulations. Amen and Amen! Brethren in the Lord, Christ assures us not to be worried at heart: but to trust in him, and the Father. Believers in Christ, are to live by faith; for the righteousness of God is revealed through us by our faith in him. (Romans 1:17) .........The Just shall live by faith. Brethren in the Lord, pray for the Lord to strengthen your faith in him; for without faith it is impossible to please him. Have faith in him always! Amen and Amen! (9) As the Father hath loved me, so have I loved you; continue ye in my Love. (10) If ye keep my commandments, ye shall abide in my love; even as I have kept my Father;s commandments, and abide in his love. Brethren in the Lord, in this context, Jesus, encourages us to love one another, and keep the commandments of GOD. Case in point; believers, need to love everyone in this world regardless of race, color, gender or religious belief: "why? "; because, the spirit of God lives in every human race; therefore, we are brothers and sisters from the same Father in heaven. If we are, then we need not strive against one another; but love ourselves as Christ, also love us and died for our sins. (1 John 4:20) If a man say, I love God, and hateth his brother, he is a liar; for he that loveth not his brother whom he hath seen, how can he love God whom he hath not seen? Brethren, let us be kind to each other, show love and fulfill the law; so we can be favorable in the eyes of our Lord Jesus, who also love us.and died on the cross for our sins. Love one another always in Jesus Name! Amen and Amen! (ST. JOHN 13:35) By this shall all men know that ye are my disciples, if ye have love one to another. Brethren in the Lord, in this context, Jesus, at the end of his mission was in agony; because of the trails before him: he called on Abba Father, to release him of his burden; but it was the will of the Father to accomplish the mission, as a result, he was persecuted, and died on the cross to redeem us all. Jesus, was predestined to go through trails, and die for our sins on the cross of Calvary; but when the time drew closer to fulfill the mission, his spirit was willing, but his flesh was weak; and was overwhelmed with grieve; however, he prayed to the Father to strengthen him through the trails, and to his death on the cross. Case in point, have we ever agreed to accomplish an assignment, but later found out that the task was more difficult than what we anticipated?, Have we ever secured a new job, but later thought; that was not really to our liking?, If you have, imagine what Jesus, felt at the time when he prayed to his Father; He saw his fate and hesitated; but he had to do the will of the Father to set us free from all our sins, and bring us to eternal glory. (Matthew 26:41) Watch and pray, that ye enter not into temptation: the spirit indeed is willing, but the flesh is weak. Brethren, trails do come, whether it was predestine or not; but to be able to go through it, we need to pray without ceasing: whether the Lord answers your prayers quickly or not, he knows what is best for you; he will strengthen you through your trails, and tribulations; and will allow you to overcome by his blood. Child of God, are you in any kind of trails and tribulations today? Have faith in Jesus, and pray; the Father can hear you, and will help you through it, and you shall be glorified with him in eternal glory in Jesus Name! Amen and Amen! Brethren in Lord, I call this context, "blood of Jesus"; Paul the Apostle, encourages us not to be afraid of warfare from any man, for we bear the marks of our Lord Jesus, in our bodies. What do this mean? : from my point of view; it means no one can provoke us, because we are covered with Blood of Jesus. Case in point, when our enemies warfare against us at (work, church or among friends and families); what do we do as believers? Do we get angry?, fight?, argue? take vengeance? or call blood of Jesus to prevail? As followers of Christ, we do nothing on our own, but Christ is our advocate; therefore, we need to pray to God, through Lord Jesus, to take absolute control of all situations, fight our battles, and justify us. As believers, we bear the mark of the Lord Jesus, on our bodies; therefore, the devil will bring upon lives problems to frustrate us from following him; when problems are sent to us from the enemy forces; let us call on the Lord Jesus, to come to our rescue, and deliver us from all evil. King David, called on the LORD to fight against his enemies with Psalm 35; why don't we do the same, and leave the battle in the hands of the Lord Jesus, to prevail against our enemies for us. (Psalm 35:1) Plead my cause, O LORD, with them that strive with me: fight against them that fight against me. Brethren in Lord, are you being persecuted, or provoked today? If you are, the Lord is waiting to fight your battles for you. Do not fear or be dismayed, call upon the Lord Jesus; because, you bear in your body his marks: He will surely deliver you from all troubles. Amen and Amen! (Exodus 14:14) The Lord shall fight for you, and ye shall hold your peace.